Airline operator, Aero Contractors, has sacked at least 100 workers outsourced by Skyborne Ltd, due to its decision to review its relationship with the company. Confirming the sack in a statement issued on Friday, April 29, the airline said the decision was reached “in the course of reorganising and repositioning its business”. “In the course of reorganising and repositioning its business, Aero Contractors has reviewed its relationship with Skyborne by cutting down some of the services required from the company. “This will help the company to invest more resources to enhance customer service. 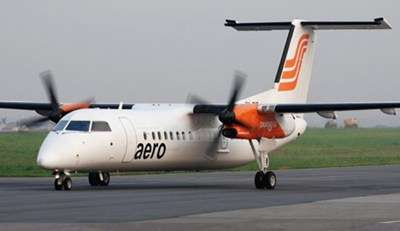 For the records, Aero has not sacked any of its staff,” the statement released by Aero’s media consultant, Simon Tumba, said. A letter to one of the affected workers which was obtained by NAN claimed that the sack was as a result of the ongoing restructuring in the airline. We recall that allegations of corruption and diversion of funds had trailed the past management of the airline. The Asset Management Company of Nigeria (AMCON), which owns 60 per cent of the airline’s shares, had dissolved the previous management and appointed Fola Akinkuotu, former director-general of the Nigerian Civil Aviation Authority (NCAA), as its Managing Director. Akinkuotu has been given the task of rebuilding the airline and helping it to regain its position as a key player in the industry. First Bank had just on Thursday, April 28, revealed that it intends to lay off 1,000 workers.